This is another illustration I did for IGA back in the early 1990’s using Fractal Painter software. 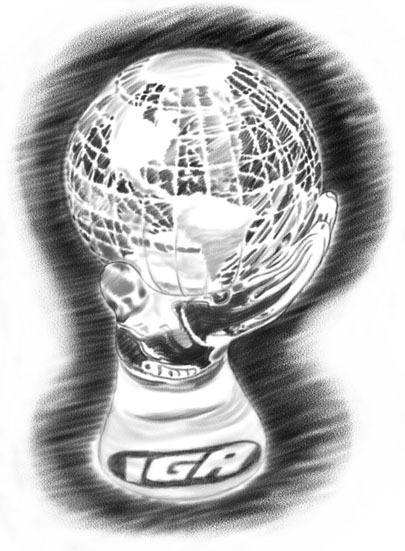 It is a digital illustration in pencil style of a glass award trophy that IGA gave away at an international event, of a human hand holding a globe. The IGA logo is reflected in the base of the glass.